Getting in front of your business’s Facebook page followers and potential customers has always been a daunting task for small business owners. Now that “Facebook ZERO” is upon us, how can small businesses keep up and stay relevant on Facebook? 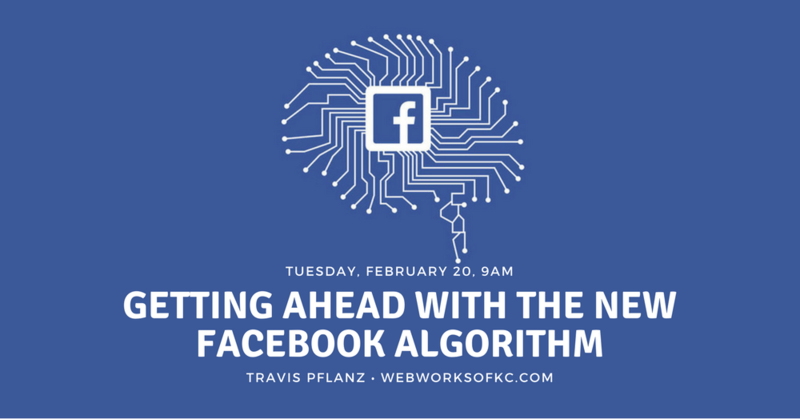 At this free presentation for the KC Businesses Meetup group, I will discuss some of the recent changes to the Facebook algorithm and offer strategies, tips and tricks to keep your business’s Facebook business page in front of your fans! This presentation is part of the weekly KC Businesses Meetup. KC Businesses is a small business networking group that meets every Tuesday at 9am at Homer’s Coffee House in Overland Park. Unlike most networking groups, KC Businesses focuses on business education and building a support network of small business owners to discuss real business issues and help each other find solutions to business problems.